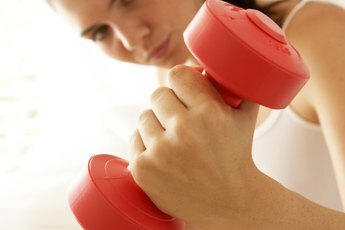 What Is the Risk of Using Dumbbells? 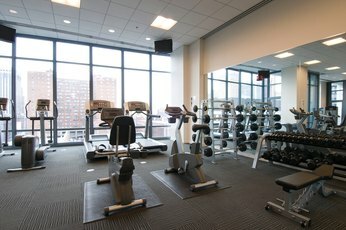 When stepping into a weight room, the variety of strength-training equipment is sometimes overwhelming. What some women do not realize is that most equipment is geared toward different goals and levels of fitness, coordination and core stability. For beginners, using dumbbells may pose risks. 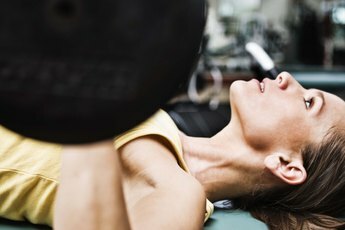 Without proper form and technique, you could seriously injure your joints and muscles. Dumbbells are a type of free weight. According to the American College of Sports Medicine, using dumbbells increases the risk of injury because movement is not restricted. When you use free weights such as dumbbells, your body is not held in proper alignment by a machine or piece of equipment, your core and stabilizer muscles have to do all of the work. Form and proper technique becomes extremely important when using dumbbells. If proper form is not used during the entire range of motion when using dumbbells, you are more likely to strain, tear or hyperextend a joint or muscle. 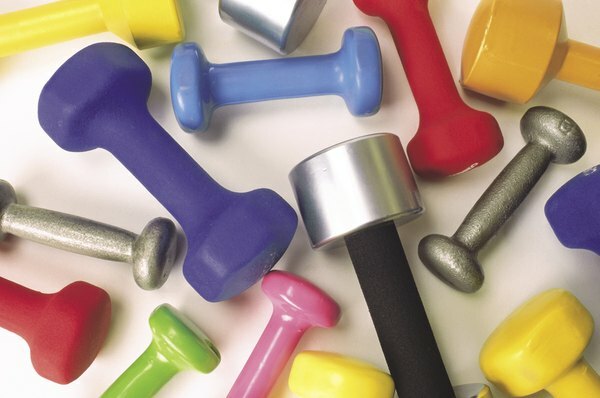 According to the ACSM, some of the precautions for using dumbbells are ensuring good grip, maintaining stable stance and using proper technique or form. Pick weights up using your legs -- not your back -- in order to avoid back pain and injury. Some accidents occur when a weight falls on a body part; weights falling on the body are mainly caused by improper grip or sweaty hands. Have a secure grip, wear proper attire, lift the proper weight for your ability and always bring a towel to the gym to wipe sweat off of you and your equipment. Hyperextension of the joints during exercise always needs to be taken into consideration, especially when you are using dumbbells. Hyperextension is an extension of a limb past its normal limits. During exercise, your goal should always be to do full-body, full range of motion exercises -- which is different from hyperextension. Full range of motion is the full movement potential of a joint, usually its range of flexion and extension. Performing full range of motion helps ensure that your entire muscle is strengthened and helps reduce the risk of injury in our daily lives. However, hyperextension is an excessive extension of your joint during lifting. Hyperextending joints, especially the elbow, is a common injury with the use of dumbbells. Be sure that your joints stay slightly bent and are never locked out or hyperextended. It is always a smart idea to use the buddy system when you are going to use dumbbells or barbells in your workout. Dumbbell exercises can be dangerous and a spotter is always recommended. Spotters can help with form correction, set completion, and injury prevention. It is also recommended not to lift too much weigh with dumbbells. Dumbbells require a lot of core stabilization. Using extremely heavy weight with dumbbells can greatly increase the risk of tearing, straining, or hyperextending a muscle. 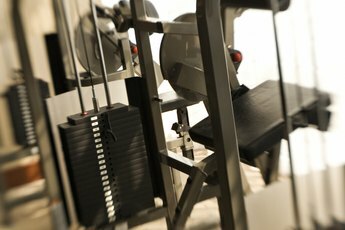 If you intend to do a heavy lifting day, using a squat-rack with a spotter or hammer strength machines with a spotter are better options. American College of Sports Medicine Learning: Selecting and Effectively Using Free Weights; American College of Sports Medicine; 2003. Free Medical Dictionary: Miller-Keane Encyclopedia and Dictionary of Medicine, Nursing, and Allied Health, Seventh Edition; Saunders; 2003. Sadie McGowan has a master's degree in kinesiology and a Bachelor of Arts in fitness management and K-12 physical education/health/coaching. She has worked in the fitness industry since 2005, serving as a personal trainer and group fitness instructor. McGowan is currently an assistant associate professor and a fitness specialist.